Nidec ASI has been a pioneer in the supply of Battery Energy Storage solutions for Commercial and Utility scale plants. Acting as a turn-key EPC contractor or as the electrical partner for the complete Balance of System (BoS), from electrical design to installation, we work closely with Leading brand battery manufacturers to offer the most robust solution. Last year Nidec Industrial Solutions installed more than 500 MWh of Battery Energy Storage Solutions across the globe. The company is reknowned for its engineered-to-order electric motor and drive systems, industrial automation, power quality solutions and renewable energy. 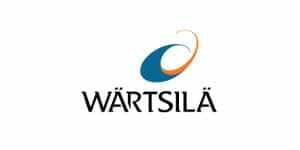 Wärtsilä Energy Solutions is a leading global energy system integrator offering a broad range of environmentally sound solutions. Our offering includes ultra-flexible internal combustion engine based power plants, utility-scale solar PV power plants, energy storage & integration solutions, as well as LNG terminals and distribution systems. The flexible and efficient Wärtsilä solutions provide customers with superior value and enable a transition to a more sustainable and modern energy system. As of 2017, Wärtsilä has 65 GW of installed power plant capacity in 177 countries around the world. BYD is the world’s largest manufacturer of rechargeable batteries. As a market leader in the LiFePO4 technology, BYD is specialized in providing large-scale energy storage, distributed energy storage as well as micro-grid systems, which forms a complete set of energy storage system solutions. BYD ESS technology offers a modular, flexible design and can be easily customized to meet diverse customer needs. Up to now, BYD has a lot of successful cases of battery storage solutions from KW sized to MW sized system at home and abroad, and has reached 331MW/335MWh energy storage product shipments at the end of November 2016. Vertiv designs, builds and services critical infrastructure that enables vital applications for data centres, communication networks and commercial and industrial facilities. Formerly Emerson Network Power, Vertiv supports today’s growing mobile and cloud computing markets with a portfolio of power, thermal and infrastructure management solutions including the Chloride®, Liebert®, NetSure™ and Trellis™ brands. Sales in fiscal 2016 were $4.4 billion. For more information, visit VertivCo.com. SAET S.p.A. has been operating for over fifty years in the Energy sector and has the ability to integrate its specific products (handling and weighing systems, automation systems) with the different skills required for the development of complete turnkey installations. 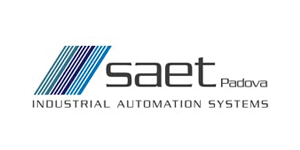 A consolidated experience with constant development in the technological field and proven reliability have made SAET one of the leading companies in the supply of systems and installations for the production, transmission, and distribution of power by a power plant, Utilities, and Industrial Plants. Freqcon develops and distributes the electrical equipment for regenerative energy systems. With their innovative products, they are one of the leading companies in the world. Their focus is on wind energy and energy storage. Their technology is used in wind turbines with an installed capacity of more than 30 GW. In the field of energy storage, they have implemented various projects in Germany and in other European countries, in addition to battery storage systems and systems based on ultra-capacitors. 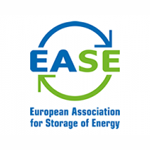 The European Association for Storage of Energy (EASE) is the voice of the energy storage community, actively promoting the use of energy storage in Europe and worldwide. It supports the deployment of energy storage as an indispensable instrument within the framework of the European energy and climate policy to deliver services to, and improve the flexibility of, the European energy system. EASE seeks to build a European platform for sharing and disseminating energy storage-related information and supports the transition towards a sustainable, flexible and stable energy system in Europe. ENTSO-E, the European Network of Transmission System Operators, represents 43 electricity transmission system operators ( TSOs ) from 36 countries across Europe. ENTSO-E was established and given legal mandates by the EU’s Third Legislative Package for the Internal Energy Market in 2009, which aims at further liberalising the gas and electricity markets in the EU. ENTSO-E promotes closer cooperation across Europe’s TSOs to support the implementation of EU energy policy and achieve Europe’s energy & climate policy objectives, which are changing the very nature of the power system. The main objectives of ENTSO-E centre on the integration of renewable energy sources (RES) such as wind and solar power into the power system, and the completion of the internal energy market (IEM), which is central to meeting the European Union’s energy policy objectives of affordability, sustainability and security of supply. The IEC is the global organization that publishes International Standards and supports all forms of Conformity Assessment for the millions of devices that use or produce electricity or contain electronics. We bring together 170 countries that represent 98% of world population and 96% of energy generation. IEC work covers all the building blocks of information technology; printed electronics, components, switches, cables and wires. We make certain that devices and systems that are used in the home, office, medical facilities, manufacturing and public spaces work safely with each other, everywhere in the world. Bloomberg New Energy Finance (BNEF) is an industry research firm focused on helping energy professionals generate opportunities. With a team of experts spread across six continents, BNEF provides independent analysis and insight, enabling decision-makers to navigate change in an evolving energy economy. Visit https://about.bnef.com/ or request more information. 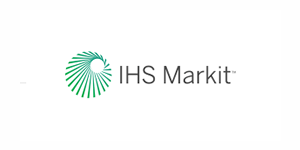 IHS provides information, expertise and analysis to support the decision-making process of businesses and governments in key capital-intensive industries, such as aerospace, defense and security; automotive; chemical; energy; maritime and trade; and technology industries. IHS also provides expertise in economics, country risk, engineering and overall operational excellence. H2-international is a blog, a newsletter and an e-journal. 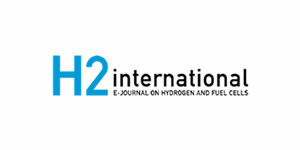 The blog (www.h2-international.com) offers news and detailed information on the latest research results and other developments in hydrogen and FC technology. The newsletter appears monthly and is published cost-free via the internet. It contains headlines and teasers. The e-journal on hydrogen and fuel cells (more than 40 pages) is only for subscribers who ordered this service. Coverage includes topics from German-language regions, with articles on international activities: US hydrogen expert Robert “Bob” Rose reports on developments in North America and in Japan while Sven Joesting analyses leading global fuel cell companies, and Alexandra Huss informs on regions worldwide. The International Battery and Energy Storage Alliance IBESA is the first international network of excellence in the field of battery and energy storage that enables an international and practice-oriented transfer of knowledge. Founded in 2013 IBESA is still well on track regarding emerging markets around the world and is now coming up with an updated concept to satisfy the actual requirements of our Partners. IBESA offers a worldwide network, contacts along the value chain of different business sectors, exclusive high-quality market research know-how as well as the complete marketing and public relation package – based on a long experience in business. Today there is no shortage of information on power and energy. Yet in this age of information overload, most professionals still take the time to read their favourite daily newspaper. 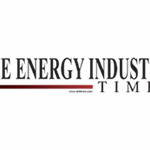 The Energy Industry Times is a newspaper-style tabloid dedicated to reporting on the industry’s key issues. At last, an easy way to follow the latest news and trends in power and energy – from a source you can trust. photovoltaik – Solar technology for installers, planners and architects is the leading PV trade magazine in the German-speaking region. In addition to technology focussed, target group oriented coverage in the print edition, the website offers industry professionals relevant information updated on a daily basis. With around 100,000 monthly page impressions, www.photovoltaik.eu is one of the most successful web platforms for professional users of photovoltaics, storage technology, electro mobility and electric heating technology. Both the print edition and the website are certified and monitored by the IVW (the German Audit Bureau of Circulations). pv Europe is the English language website from photovoltaik the leading B2B magazine on solar power in the German speaking region. The target groups are solar installers, planners, wholesalers, architects and engineers in the EU member states, Switzerland, Norway and Turkey. Germany, Austria and Switzerland are the market leaders in photovoltaic and self consumption technologies. With pv Europe we are opening markets that will follow the trends and experiences of the Central Europe photovoltaic market. With our renowned high quality B2B information services and media channels we are opening doors into developing markets – for the wider application of photovoltaic technologies. 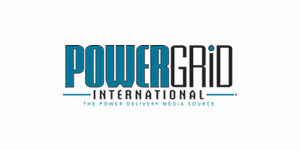 POWERGRID International, is the utility industry’s premier source of information on transmission and distribution automation systems and information technology (IT). Find the latest information on the systems and technologies that drive the modern utility by visiting and subscribing to PowerGrid International magazine or eNewsletter. More than 10 years of professional, journalistic, and distribution competence has made the brand SUN & WIND ENERGY one of the leading international trade publications for renewable energy. 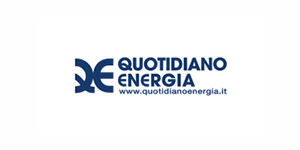 QE Quotidiano Energia is an editorial initiative specialized in the energy sector that responds to the growing demand for specialized information of businesses and professionals, reaching their readers through the most advanced information technologies declined according to the current criteria of usability and accessibility. AltEnergyMag is an Online Trade Magazine full of News, Articles and Interviews covering the trends and breakthroughs in the Alternative Energy industry, with an emphasis on the state of the art and on the horizon technologies that have strong prospects of commercialization. Since 2002 our philosophy has been to create an outlet where the industry can collaborate and report on itself. 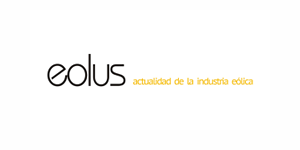 We offer those of you who work or have a passion for the Alternative Energy to contribute articles, news and product information for your peers to read and discover..
EOLUS is the only Spanish-language technical magazine that devotes it 5 yearly editions to the Wind Power Energy. It is a bimonthly magazine that includes in-depth technical articles and research papers submitted by some of the most reputable figures of the sectors, as well as a wide variety of fixed sections such as: national and international news, the latest Wind Energy Industry news, cutting edge technical advances, interviews, fairs-conferences-courses and events agenda, bibliography, employment bureau and more. 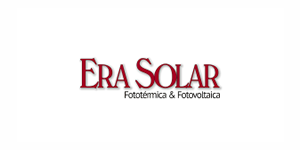 ERA SOLAR magazine, founded in 1983, is the only Media in Spanish that exclusively devotes its 6 yearly editions to Solar Energy and it is aimed at professionals of the sector. ERA SOLAR features all topics related to PV, Solar-Thermal and Solar Thermoelectric from a technical-professional perspective: Research Papers, In-depth Articles, Interviews, Technical Advances, Current Affairs, Solar Markets Experts Opinion, Forecasting & Analysis, tradeshows & conferences Agenda. 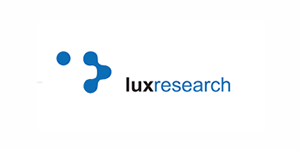 Lux Research is an independent research and advisory firm providing strategic advice and ongoing intelligence for emerging technologies. Leaders in business, finance, and government rely on us to help them make informed strategic decisions. 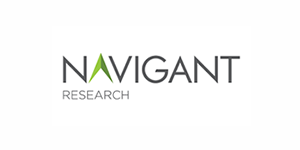 Through our unique research approach focused on primary research and our extensive global network, we deliver insight, connections, and competitive advantage to our clients. The association StoRegio Energiespeicherssysteme eV works on the practical challenges of economical use of stationary energy storage systems. In workshops, work groups and projects, StoREgio addresses not only technical questions, but also socio-economic aspects (acceptance, regulatory framework) as well as opportunities for the design of business models. 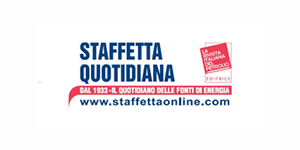 Staffetta Quotidiana da sempre si distingue per la sua indipendenza e la sua autorevolezza tanto da essere punto di riferimento indiscusso nel business dell’energia. Più di 10.000 notizie l’anno, un’informazione precisa e puntuale, commenti ed approfondimenti di esperti, un’attenta analisi dei dati. Quotidianamente variazioni dei mercati e dei prezzi, consumi, statistiche, leggi, decreti, documenti delle Autorità, gare ed eventi. Il numero del sabato di maggiore foliazione è in formato rivista. 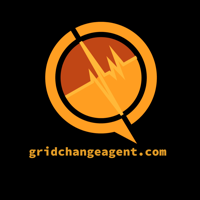 Gridchangeagent.com provides timely, informed and sharp online coverage of the technologies, trends, strategies and policies disrupting electricity supply chains around the world. Industries and markets include distributed renewable generation, energy storage, smart grids, utility, commercial/industrial, residential and off grid. EUROBAT is the association for the European manufacturers automotive, industrial and energy storage batteries. EUROBAT has more than 50 members from across Europe comprising more than 90% of the automotive and industrial battery industry in Europe. The members and staff work with all stakeholders, such as battery users, governmental organisations and media, to develop new battery solutions in areas of hybrid and electro-mobility as well as grid flexibility and renewable energy storage.